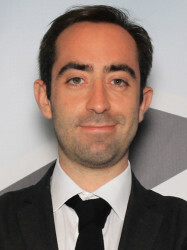 Dr Stefano Sandrone is a neuroscientist with a special academic interest in neuroimaging, neuroplasticity, history of neurology and of (neuro)science. He was born in Canelli, Italy, in 1988, and he has been studying and doing research in Milan, Zurich and London. In 2014 he was selected as a young scientist at the 64th Lindau Nobel Laureate Meeting in Physiology and Medicine (attended by 37 Nobel Laureates and 600 young scientists worldwide). For this, he has been included in Wired magazine’s list of ‘promising Italians under 35’. In 2015 he co-authored a book entitled Brain Renaissance. It received a one-page review in Nature on its release and won the biennial Award for Outstanding Book in the History of the Neurosciences presented by the International Society for the History of the Neurosciences. In the same year, he also wrote an online commentary for the Neuroanatomy chapter of the 41st edition of the Gray’s Anatomy, thus becoming one of the youngest contributors ever (bona fide the youngest one). In 2016 he was awarded the H. Richard Tyler Award for the History of Neurology presented by the American Academy of Neurology and its Archive Committee. Moreover, he was selected as member of the Young European Leadership Delegation at the European Parliament for the European Youth Event and recognised as Associated Fellow of the Higher Education Academy, the British professional institution promoting excellence in higher education. In 2017 he has been elected as Vice Chair of the History of Neurology Section at the American Academy of Neurology for the 2017-2019 term and recognised as Fellow of the Higher Education Academy. Class (Italy), Discover Magazine Blogs (USA), EcoDiario.es (Spain), Espresso (Italy), Fanpage (Italy), Focus (Italy), Gehirn und Geist (Germany), Gemini.no (Norway), Gravita’ Zero (Italy), Investigación y Ciencia (Spain), La Stampa (Italy), La Tercera (Chile), Le Scienze (Italy), Motherboard (USA), Neue Zürcher Zeitung Folio (Switzerland), National Public Radio (USA), New Scientist (United Kingdom), Rai Uno (Italy), Rai Due (Italy), Sapere (Italy), Science News (USA), Smithsonian (USA), Spiegel Online (Germany), Wired (Italy).